In anticipation of the release of their new album ‘Back To Earth’ on 7th September, Exxasens have premiered a new video for ‘Hugeness’. Taken from the forthcoming album, which will be released by Aloud Music Ltd in Europe, the Ricco Label in Asia (Japan, Taiwan, Indonesia) and Rock-House in Russia, the video is shot in a free-flow style, and captures the essense of Exxasens in the live environment. 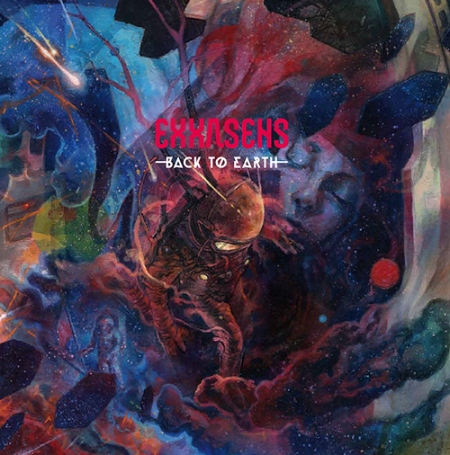 ‘Back To Earth’ will be the fourth Exxasens album and is heavily influenced by the autonomous work of Steven Wilson and the progressive dynamics of Mogwai and 65daysofdstatic. It offers up a renewed vision of instrumental post-rock with the introduction of choirs, stratospheric guitar solos and electronic grooves.